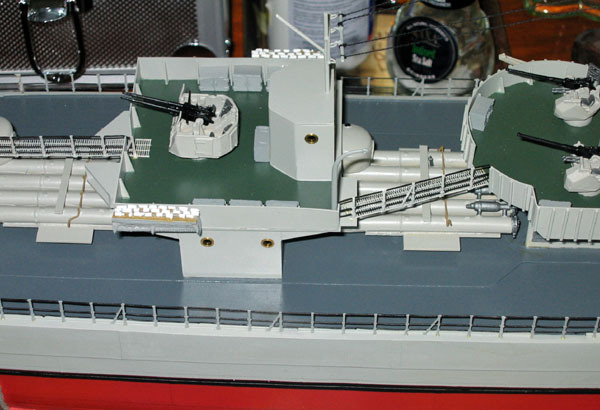 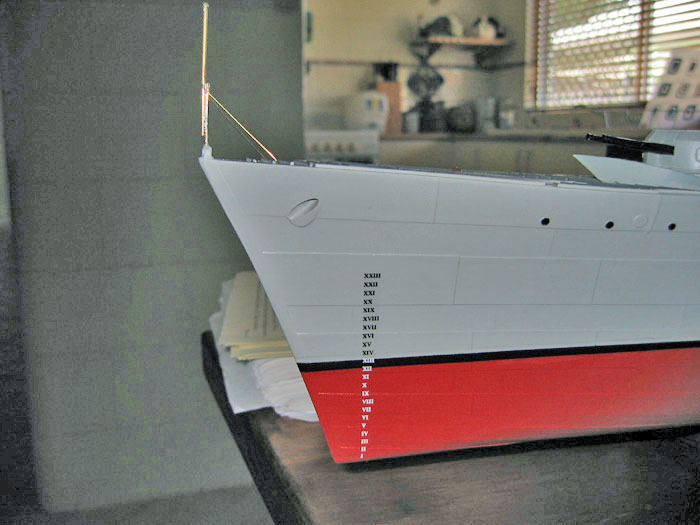 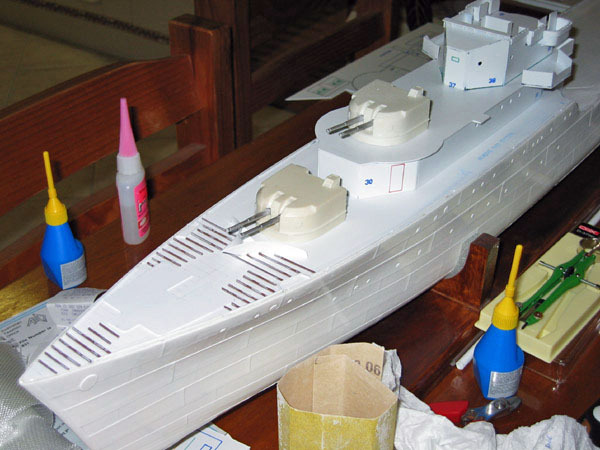 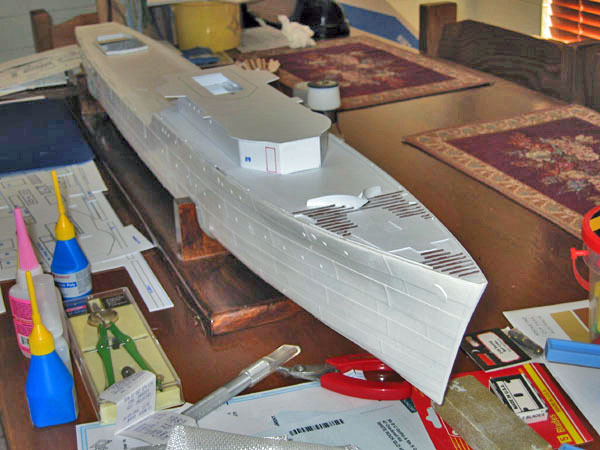 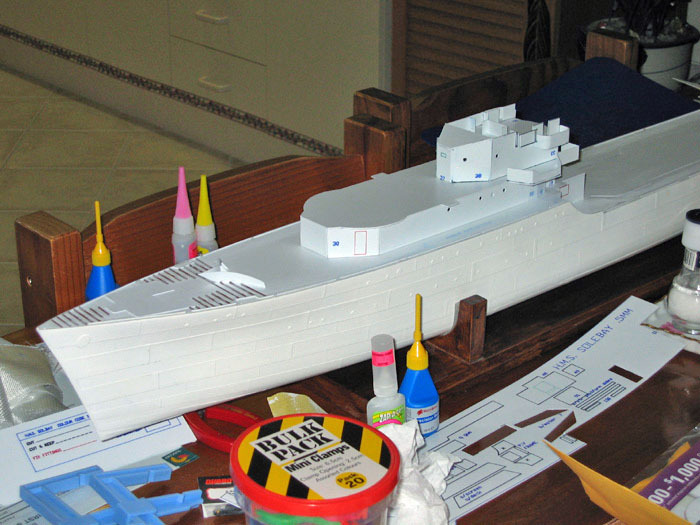 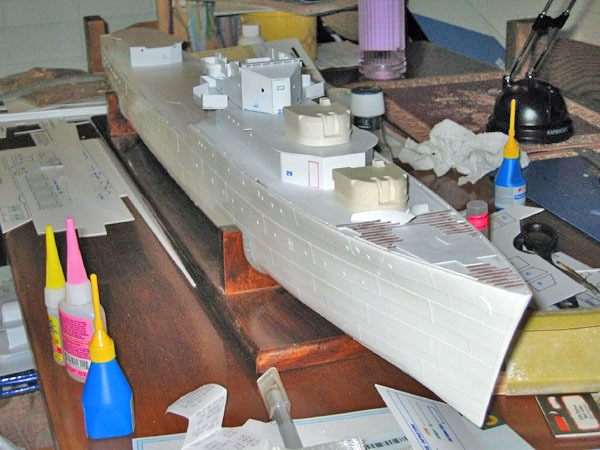 Brett has sent in a number of building photos for his destroyer, which will be built into one of the RAN variants. 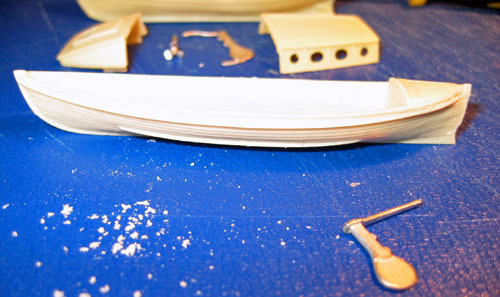 Stay tuned for more shots as the build progresses! 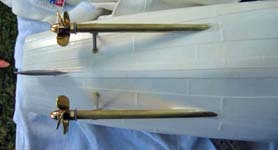 Underside view showing shafts as they exit from hull, and struts. 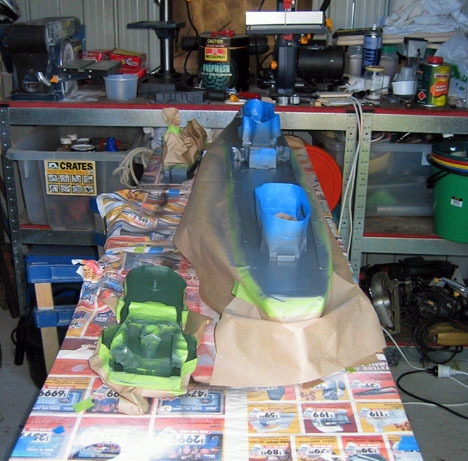 Motor mounts fabricated, foreground shows rudder servo mounting plate. 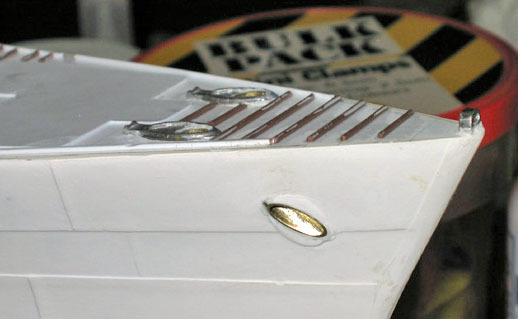 Electronics being installed. 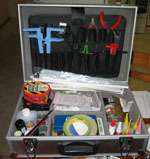 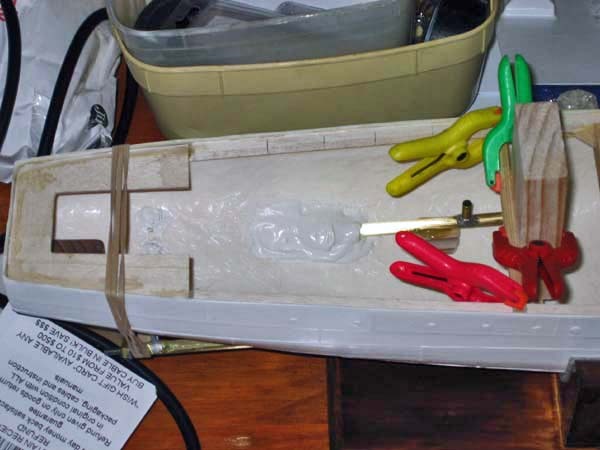 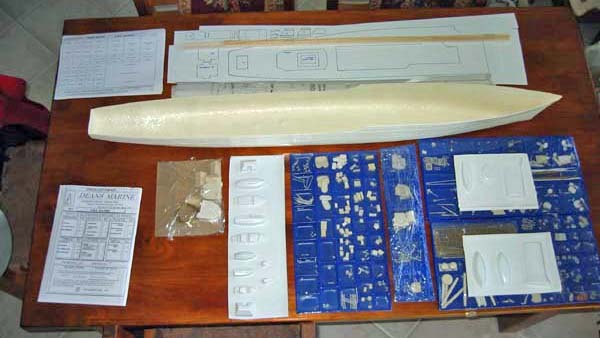 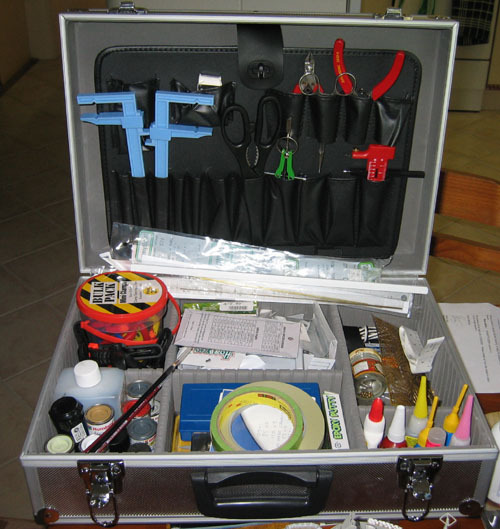 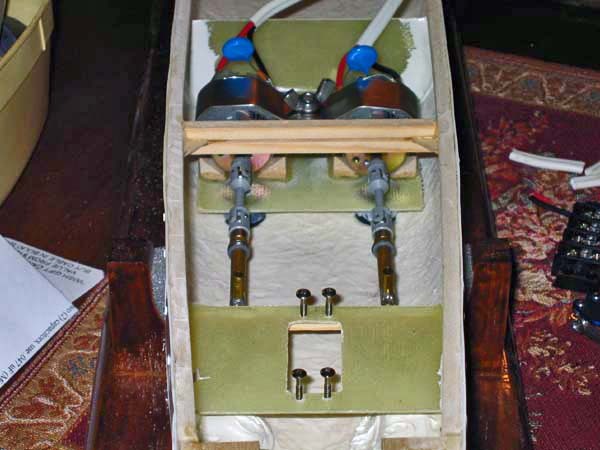 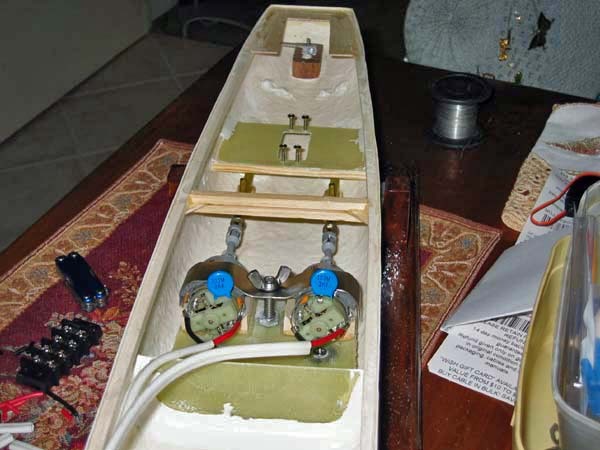 The stringers, motor mount, rudder servo mount and radio gear tray are all made of 6 layers or fiberglass cloth and epoxy resin laid up in a flat sheet and then cut to shape. 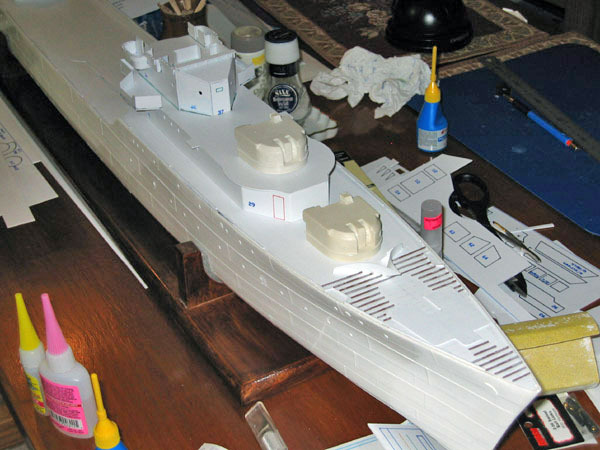 Electronics in. 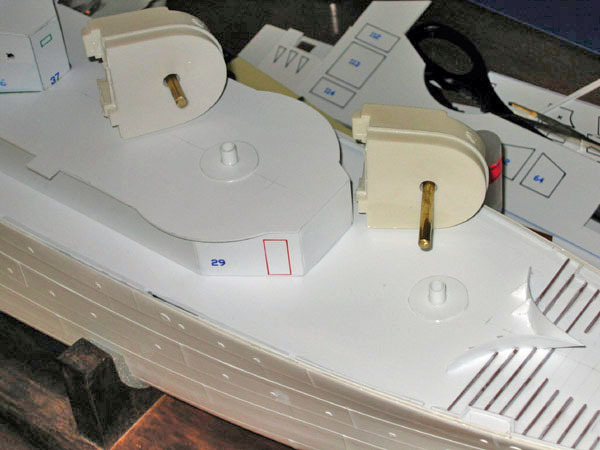 A custom plate for the controls has been made up, and installed in the forecastle area. 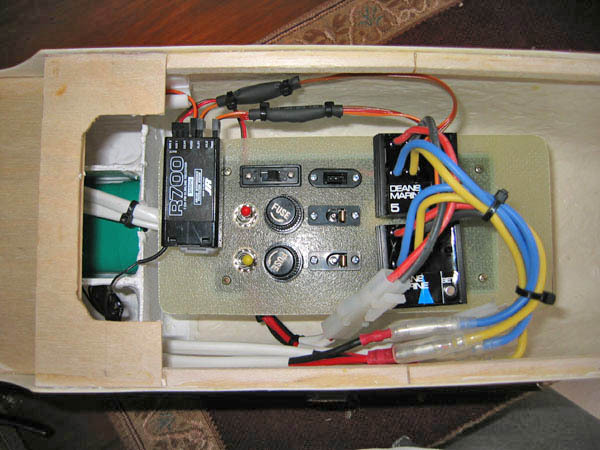 Note the clean wiring - not only does this look good, but it makes diagnosing problems in the future much easier. 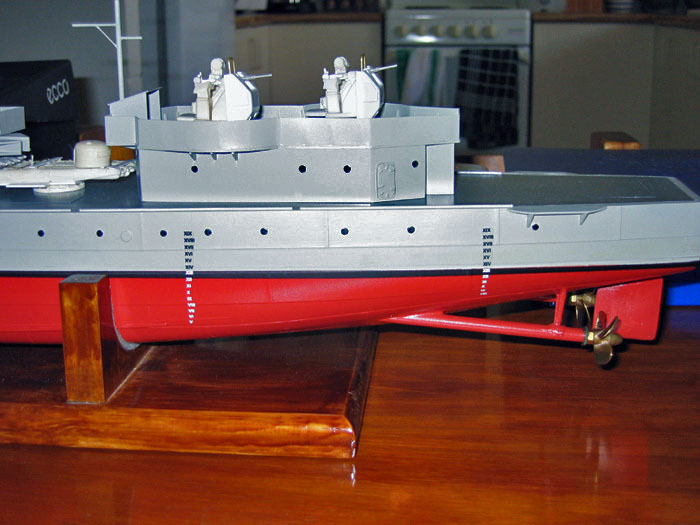 I fitted the decks today on the model. 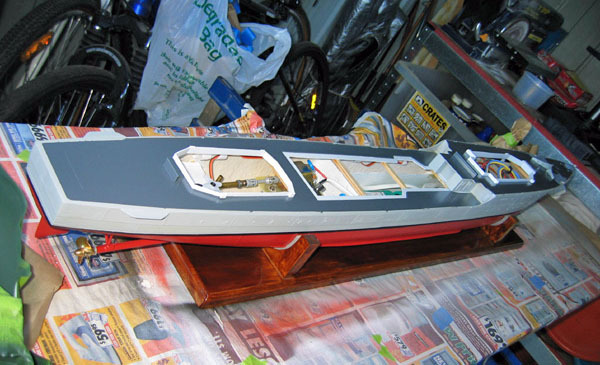 Once it was all prepared I stuck it down on a layer of Epifil marine epoxy filler and when the deck was pushed down into the filler it squeezed out and filled all the gaps around the sides. 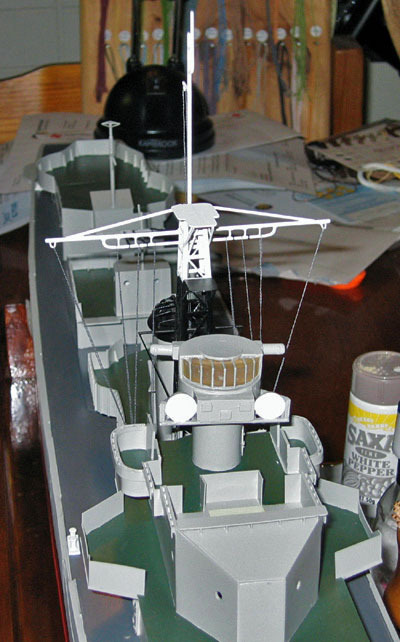 Then just sanded the surrounds down to deck level. 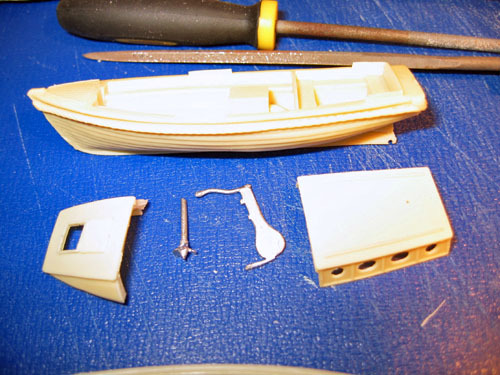 This is the start of the deck fittings, Scotsman, breakwater, anti slip, scuppers and the galley on the beginning of the iron deck. 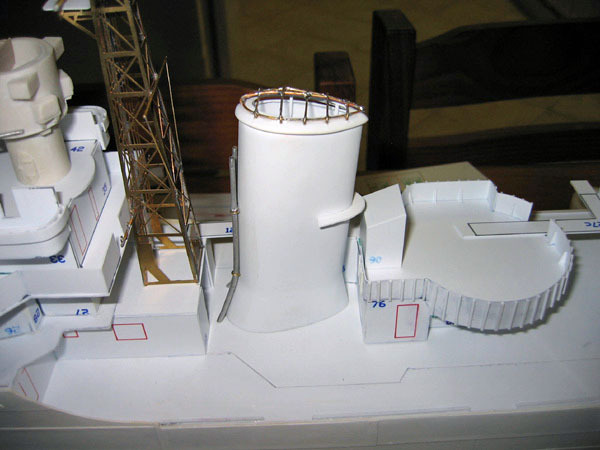 ...and in this view, the bridge is taking shape, with a close up of the wind deflectors on the bridge. 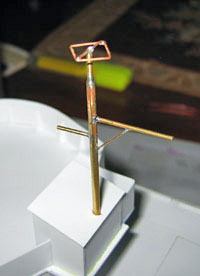 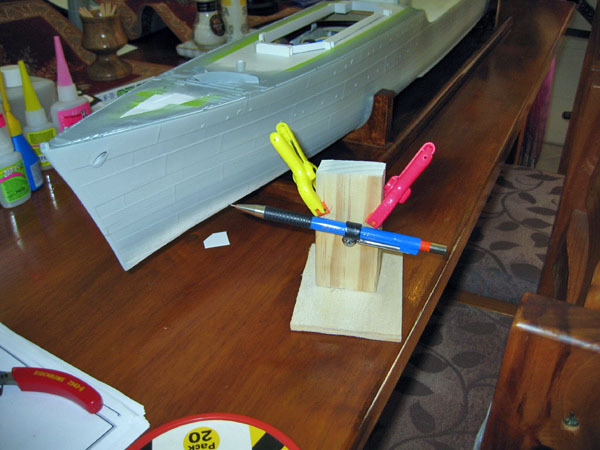 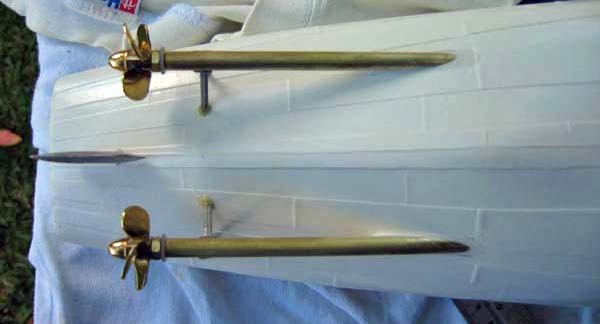 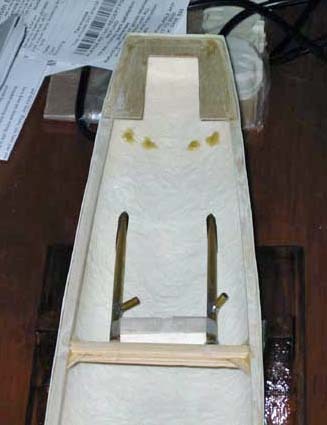 The arrangement used to mount the turrets using plastic stand tubes through the deck ,and 3/16 brass rod to mount the turrets on. 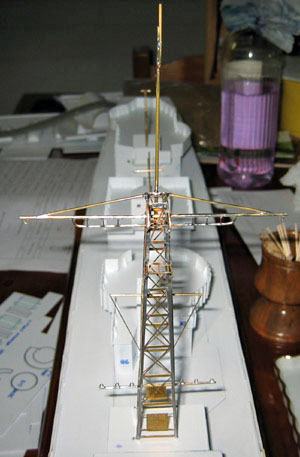 The start of the aft superstructure. 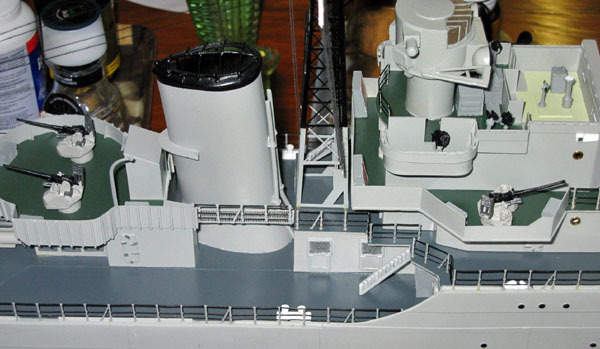 An overall view of the ship at this stage. 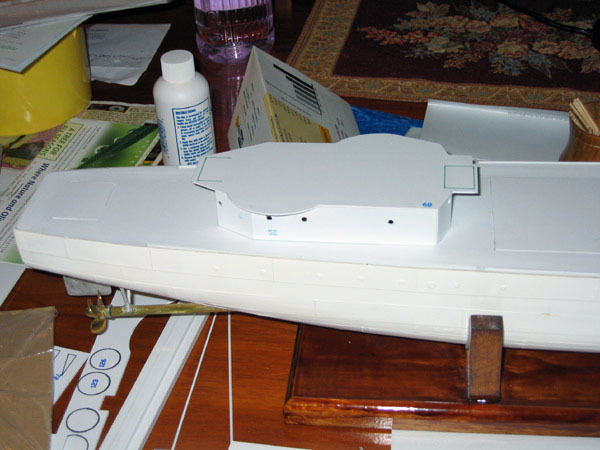 Starting to look like a warship! 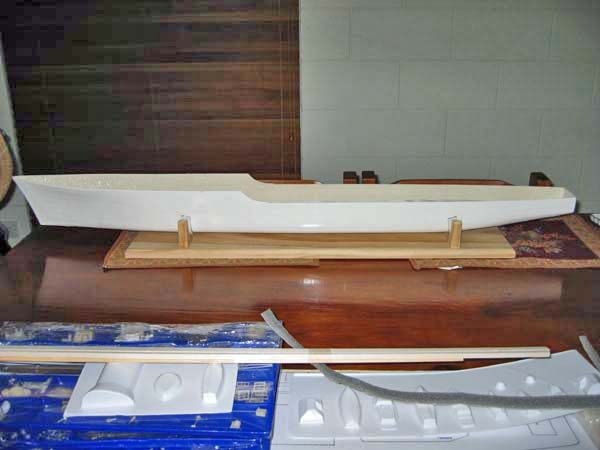 A bit of sanding on the hull, and it will be ready for paint. 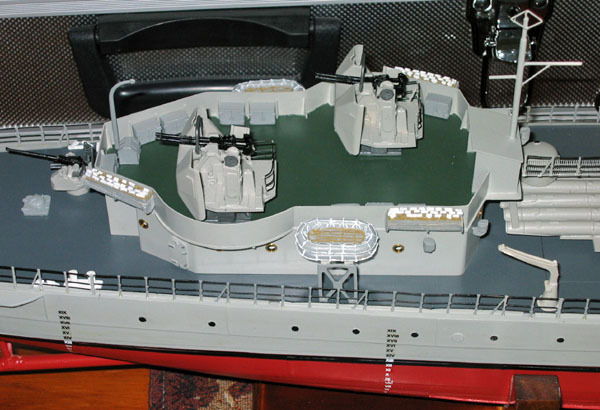 A shot of the electronics bay. 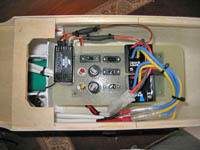 A RAM products # 61 Whopper module has been installed, controlled by a RAM # 35 electronic switch. 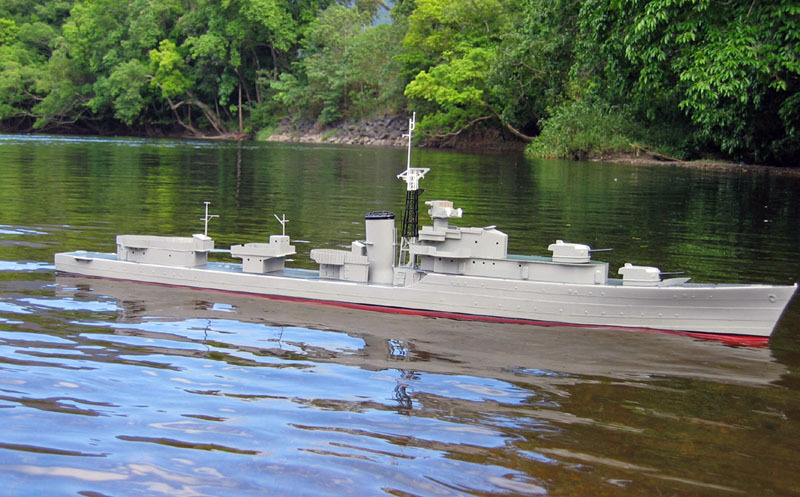 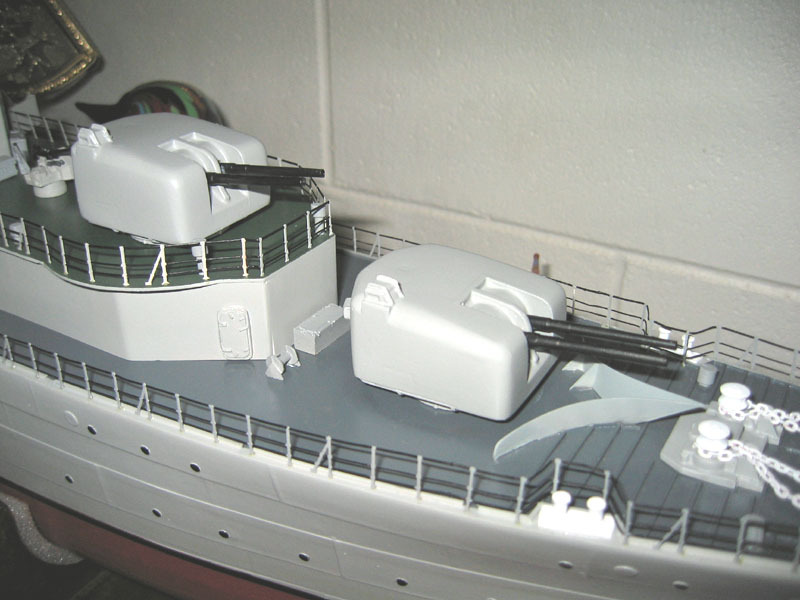 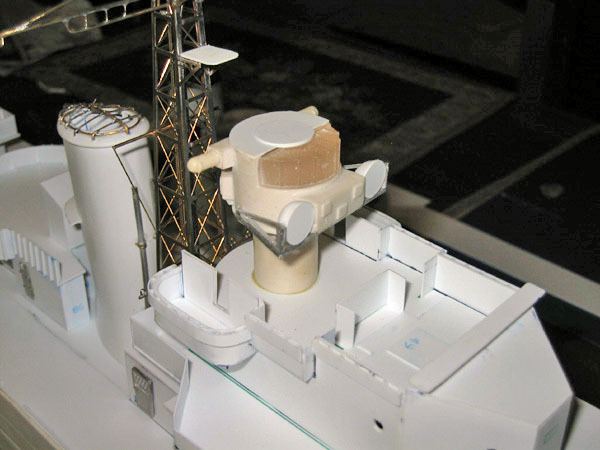 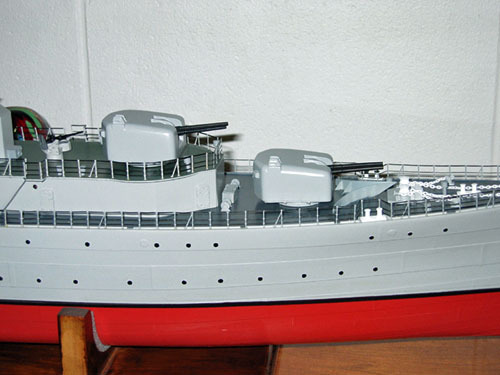 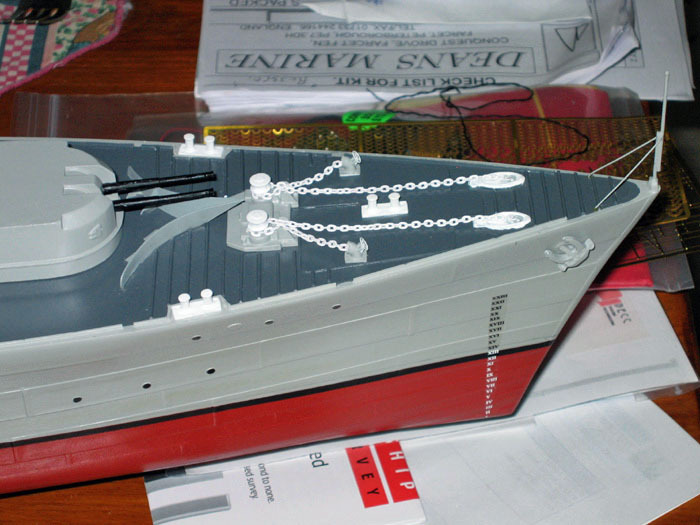 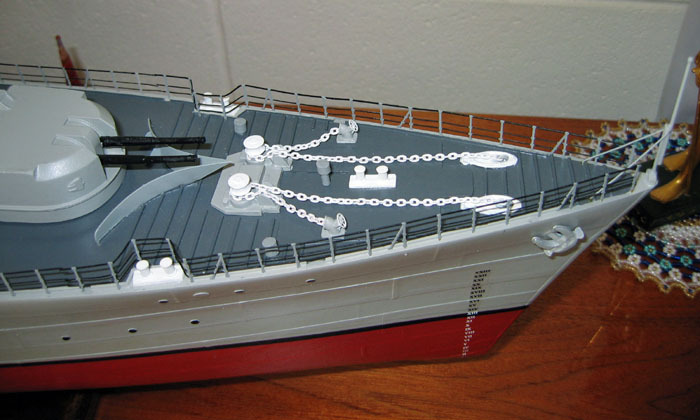 The kit's turrets were replaced with Sirmar castings to provide an accurate RAN version. 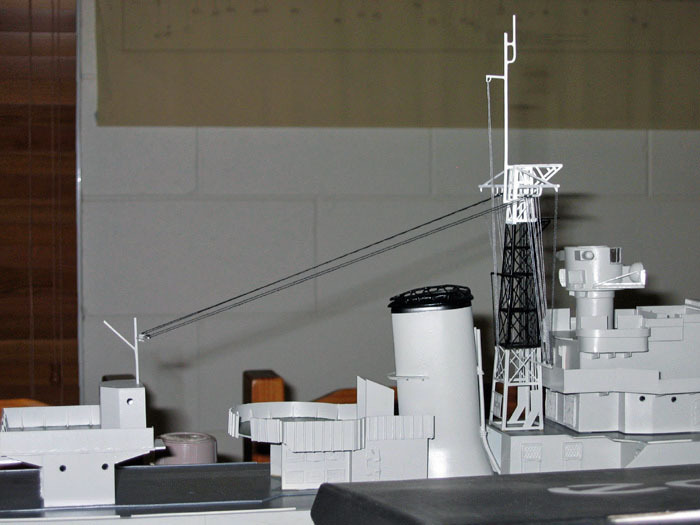 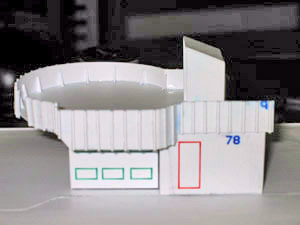 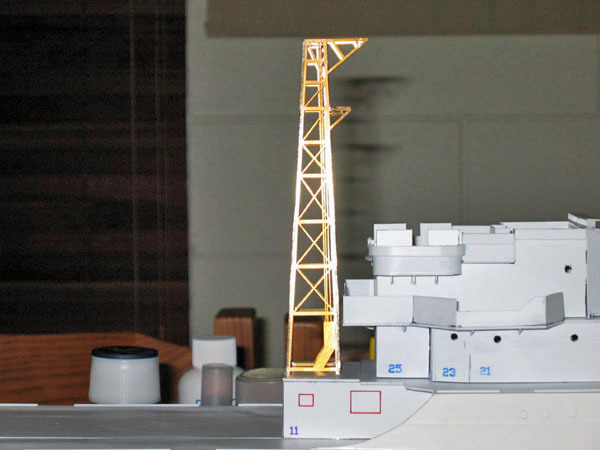 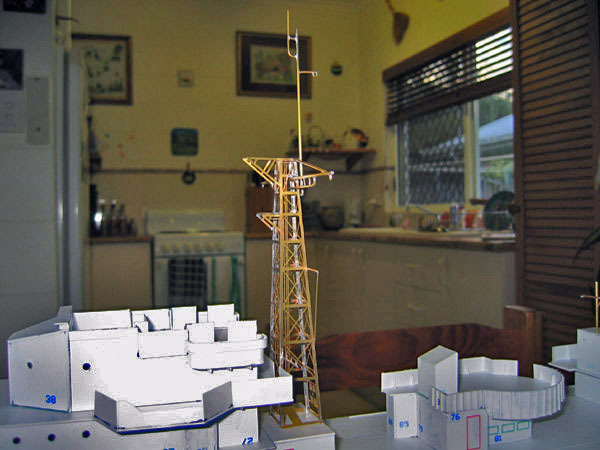 An overall view of the model at this point. 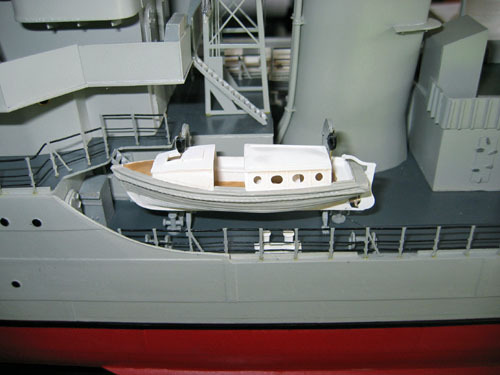 Mostly small detail added like the Blue Jacket port holes, ammunitioning davits and lockers, Carley floats and scrambling nets. 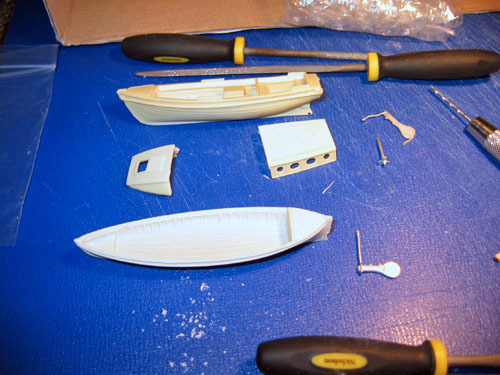 Brett has some ships boats coming from John Haynes which should help complete her. 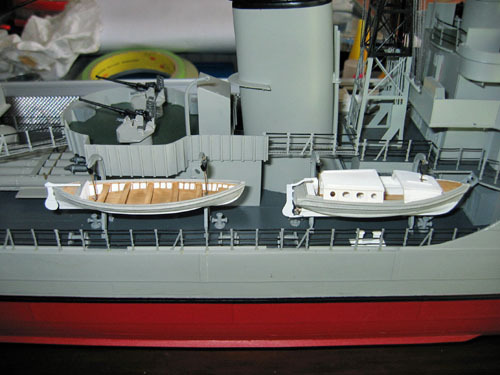 These are the ships boats I got from John Haynes. 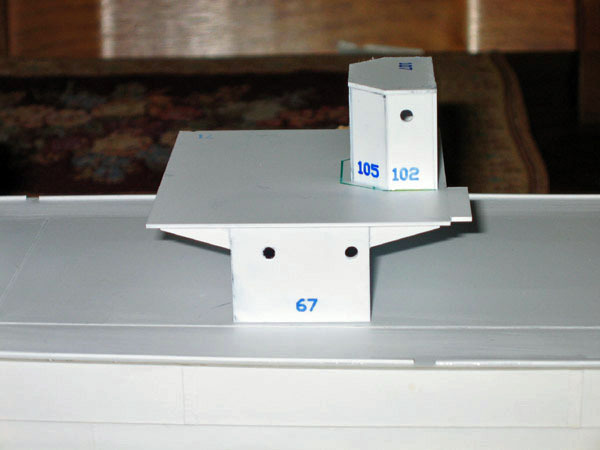 They are quite good quality and didn't require much preparation to paint and fit. 3 photos of the boats as received and 2 painted and fitted.